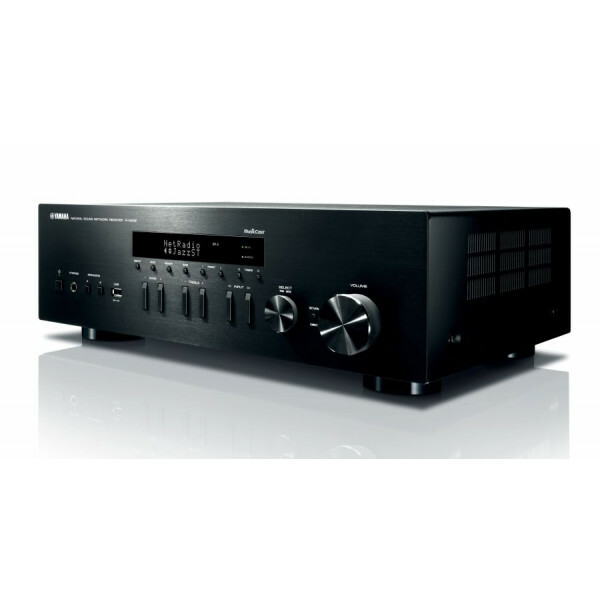 Built for simple and seamless smart device connectivity through Wi-Fi® and Bluetooth® this Hi-Fi network receiver is also designed with the sophistication of high-resolution and multiroom audio. Discover the possibility of multiroom audio through this MusicCast device and experience rich Hi-Fi sound in the comfort of your home. ・ Stream it all. Listen to Pandora®, Spotify, Napster®, SiriusXM Internet Radio, thousands of free internet radio stations and the music stored on your smart devices and computers. ・ Wireless connectivity. All MusicCast products are fully loaded with Wi-Fi, Bluetooth and AirPlay®. ・ Expand to a whole home audio experience. When you’re ready, add MusicCast wireless speakers, sound bars or other devices in up to 9 other rooms and listen throughout your home. ・ No wires, easy. By using MusicCast, you don't need to fuss with placing wires through walls into other rooms. Anything and everything. The R-N402 is a receiver and network audio player in a single unit. You can use it to easily play audio sources downloaded from the Internet and stored on a PC or NAS system. Or, enjoy streaming music services and Internet radio (with vTuner). 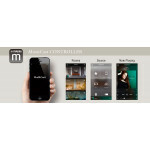 Moreover, the MusicCast app allows you to enjoy your favorite tunes on a smartphone or tablet via wireless connection. Total control. The free MusicCast controller app puts control of your wireless system in the palm of your hand. Use the MusicCast Controller app to operate the system and change settings, select your sources and control music playback. Connect wirelessly. The network receiver is equipped with Bluetooth functionality to let you enjoy easy wireless music playback from smartphones and other devices. The Compressed Music Enhancer from Yamaha is now optimized for Bluetooth audio transmissions to ensure that your music will have vivid, lively sound quality during wireless playback. You can hear all the music sources from your smartphone via wireless Bluetooth In and out. Equipped with the latest Bluetooth technology, making wireless operation more convenient than ever. Stream music from the receiver to Bluetooth headphones, for private listening, or to a Bluetooth speaker.or AirPlay connection. 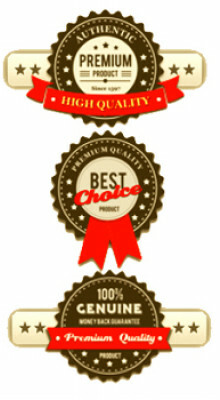 You can play music from music apps, radio apps, or YouTube™-type video hosting services. Wireless streaming. 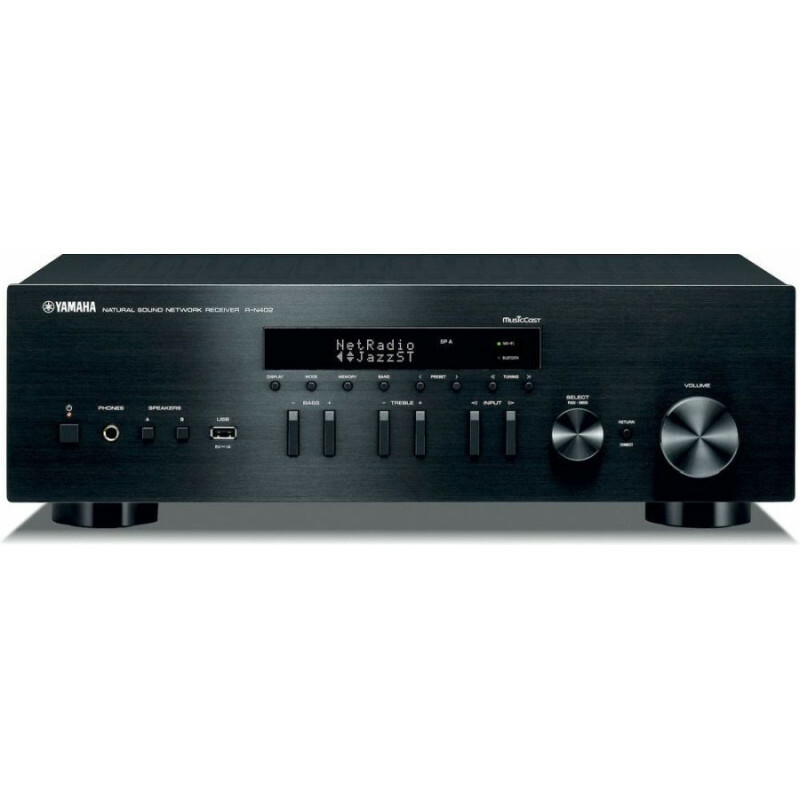 The AV receiver supports AirPlay, which means it can accept wireless music streaming from iPod touch®, iPhone® or iPad®, as well as from iTunes® on a Mac® or PC. This makes it easy to enjoy music from your mobile devices or computer on your home theater system. You can use view metadata such as song title and artist's name as well as album art via the on-screen display of the AV receiver. Quick connection. The R-N402 provides a USB port on the front panel for quick connection of USB flash drives. You have instant access to all of your stored music. The digital connection ensures that you hear it with the highest possible sound quality. No interruptions. Many live and classical albums have no gaps in the music. Gapless playback ensures that there are no pauses between audio files. This provides playback with no interruptions, the way it was meant to be heard. Compatible with WAV, FLAC, AIFF and ALAC file formats, and input from USB / DLNA / DMP. Optical and coaxial. 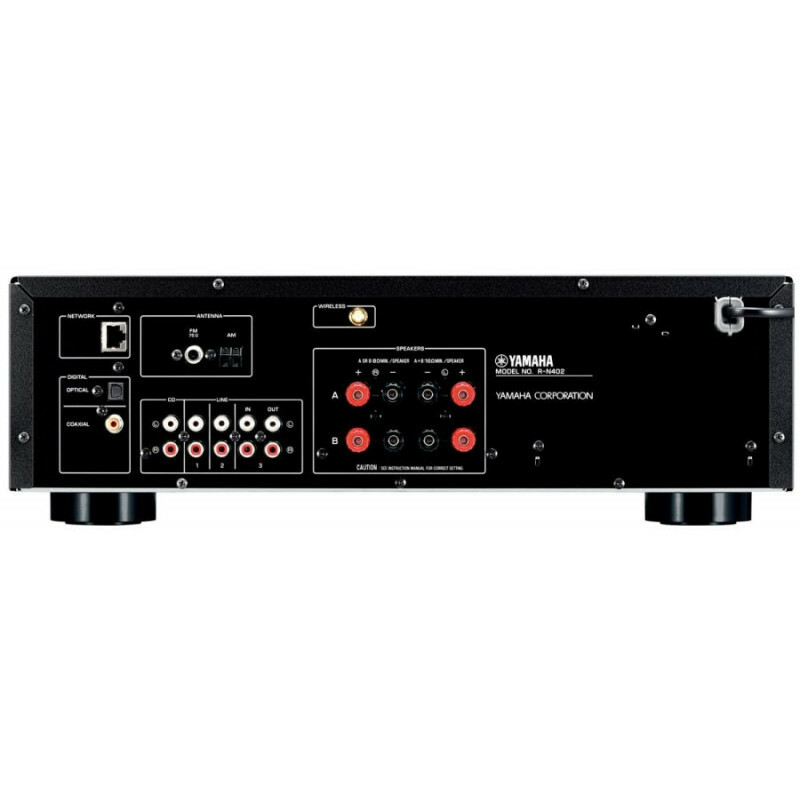 The R-N402 is equipped for digital audio input with both audio and coaxial terminals. 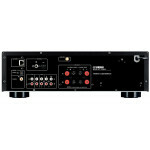 The optical is for receiving audio from a TV and the coaxial is for receiving audio from a Blue-ray Disc™ player. The audio stays in the digital domain, giving you pure, pristine, dynamic sound for all your entertainment sources, from sports and other programs to movies and concerts. Simple yet sophisticated. With a beautifully simple and unique design inherited directly from Yamaha Hi-Fi audio components, the R-N402 also boasts an easy-to-operate button layout. The aluminium front panel has a richly textured brushed aluminum black finish. The control knobs are also of the same premium construction as used on our flagship models. Everything about the R-N402, inside and out, demonstrates our commitment to superior design and operability. All your stations. Set presets for up to 40 favorite FM and AM stations and 40 network stations via the MusicCast app. Auto preset lets you automatically search for and register FM stations. Frequencies appear on the display so when you want to listen to a new station you can quickly and easily dial it in.